A bill to end federal marijuana prohibition has been filed in the House and Senate, a Hawaii decriminalization bill advances, a New Mexico bill would attempt to aid drug-using pregnant women--not punish them--and more. Federal Marijuana Justice Act Refiled. 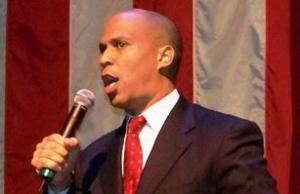 Sen. Cory Booker (D-NJ) has refiled the Marijuana Justice Act, which would end federal prohibition by removing pot from the list of controlled substances. Cosponsors include other Democratic presidential contenders, such as Sens. Kirsten Gillibrand (D-NY), Kamala Harris, (D-CA), Elizabeth Warren (D-MA), and Bernie Sanders (I-VT), as well as Oregon Sen. Jeff Merkley, who is considering a bid. In the House, Rep. Barbara Lee (D-CA) filed identical legislation. Florida Legalization Bills Filed. A pair of Democrats have filed a pair of linked marijuana legalization bills. Reps. Michael Grieco of Miami and Carlos Guillermo of Orlando filed HB 1117 and HB 1119. The former legalizes marijuana and sets up a system of regulated production and sales, while the latter provides for taxes and fees on the trade. 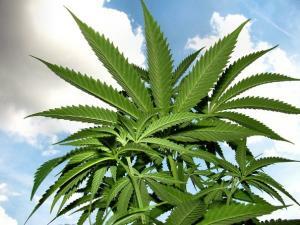 Hawaii Decriminalization Bill Advances. The House Judiciary Committee on Wednesday approved HB 1383, which would decriminalize both marijuana possession and distribution, making them punishable only by a fine. The bill also provides for the expungement of previous marijuana offenses. It now heads for a House floor vote. South Carolina Medical Marijuana Bill Stalled. The Compassionate Care Act, SB 366, is stalled in the Senate, Senate Medical Affairs Subcommittee Chairman Tom Davis (R-Beaufort) said after a hearing Wednesday. He said that after hearing from stakeholders, lawmakers want to amend the bill and hold it in committee until they have several more hearings. New Mexico Bill Would Aid Drug-Using Pregnant Women, Not Punish Them. Rep. Christine Trujillo (D-Albuquerque) has filed HB 230, which would shift the way the state reports child abuse when a woman tests positive for drugs during pregnancy. Instead of immediately notifying authorities that a woman is using drugs during pregnancy, state organizations would create a "Plan of Safe Care" that would provide guidelines for preventing future drug use in hope of delivering healthy babies. The bill has already passed the House Health and Human Services Committee but faced a tough House Judiciary Committee Wednesday. Switzerland Could Let Up to 5,000 People Smoke Pot Legally for Studies. The Swiss government said Thursday it could let up to 5,000 people legal smoke marijuana in pilot studies aimed at shaping rules for recreational use of the drug. The cabinet has proposed limited pilot projects that could lead to a change in the country's ban on marijuana, which dates back to 1951. The plan will be open for public comment until midyear. William Barr suggests he'll keep hands off of state-legal marijuana, New York's governor unveils his marijuana legalization plan, government witnesses in the El Chapo trial undercut Trump's drug justification for his border wall, and more. Ilinois Governor Reiterates Pledge to Legalize Marijuana. In his inaugural address Monday night, incoming Gov. JB Pritzker (D) confirmed that he will indeed move ahead with a plan for marijuana legalization. “In the interests of keeping the public safe from harm, expanding true justice in our criminal justice system, and advancing economic inclusion, I will work with the legislature to legalize, tax and regulate the sale of recreational cannabis in Illinois,” Pritzker said. A placeholder bill has already been filed in the Senate. New York Governor Unveils Marijuana Legalization Plan. Gov. Andrew Cuomo (D) on Tuesday unveiled his plan to legalize marijuana in the state. His plan calls for a 22% tax on wholesale sales and a per-gram tax on growers. It would also set up licensing programs for growers, distributors, and retailers, with growers barred from opening retail shops. The plan would allow cities and counties the option of banning marijuana sales in their jurisdictions. Cuomo also vowed to institute expungement for past pot possession convictions. Pennsylvania Senator Wants to Punish Women Who Use Drugs While Pregnant. Late last month, the state Supreme Court ruled that pregnant women who use drug cannot be charged with child abuse because a fetus is not a child. That was too much for state Sen. Don White (R-Indiana County), who issued a press release Monday announcing plans to file a bill that would allow the state to punish them. "Regardless of what the court may rule, a mother's responsibility begins before her child is born and that should not be erased by a perceived ambiguity in the law," White said in a press release. The move is opposed by the ACLU of Pennsylvania, which said the issue is much more complex. Government Witnesses in El Chapo Trial Testify That They Trafficked Drugs Through Tunnels, Ports of Entry, Not Over Wall-less Border. 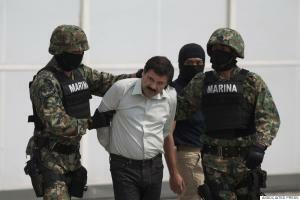 Sinaloa cartel members testifying as government witnesses at the trial of imprisoned cartel leader Joaquin “El Chapo” Guzman testified that most of the drugs they smuggled into the US came in fishing boats, trains, semi-trucks, and passenger vehicles entering the country at ports of entry. They testified that they've also used tunnels under the border, but none testified that they pushed drugs across an unwalled border. A bad provision gets stripped out of the congressional opioid package, a Pennsylvania legislator files a legalization bill, Mexican Marines disarm Acapulco cops, and more. Pennsylvania State Rep Files Bill to Legalize Marijuana. State Rep. Jake Wheatley (D-Allegheny) has introduced a bill to legalize marijuana for adults and expunge the records of people convicted of past pot-related crimes. "My bill would immediately release people jailed for crimes associated with cannabis," Wheatley said in a news release. "Those who have criminal histories related to cannabis would be expunged, and professional and driver's licenses that were revoked or suspended due to cannabis-related crimes would be reinstated. For far too long, the criminal justice system has unfairly punished Pennsylvanians, especially minorities, who are caught with cannabis." 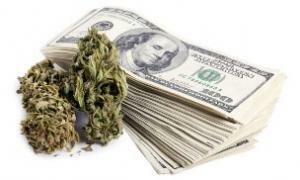 The bill also would create a system of taxed and regulated marijuana commerce. It's not yet available on the legislative website. Damaging Drug War Provision Excluded From Congressional Opioid Package. Late last night, the final text for the Congressional opioid package was released. SITSA, a sweeping bill expanding penalties on synthetic drugs and the broader war on drugs -- passed the House in July, and was expected to be included in the final bill. But a coalition of drug policy and criminal justice reform groups managed to push back against its inclusion, successfully keeping it out of the bill. "This is a huge win for public health over outdated drug war approaches," said Michael Collins of the Drug Policy Alliance's national office. "The bill would have expanded mass incarceration, while worsening the overdose crisis. It would have given Jeff Sessions unprecedented powers to schedule drugs and set draconian new criminal penalties. To pull this back from the brink after it easily passed the House only two months ago is a tremendous victory." Pennsylvania Supreme Court to Decide Whether Maternal Drug Use Equals Child Abuse. The state's highest court on Tuesday began weighing whether women who abuse drugs during their pregnancies can be punished under state law as child abusers. The court has never addressed the matter, which is again igniting debate as the opioid crisis spawns a new generation of babies born dependent on their mothers' drugs. The justices heard oral arguments in the case of a woman who gave birth in January 2017 to a child who spent 19 days in the hospital being treated for drug withdrawal. The woman had tested positive for marijuana, opioids, and anxiety drugs. The child was taken into custody by Children and Youth Services, and the mother was charged with child abuse. DC Mayor Backs Bill Penalizing Dealers of Synthetic Cannabinoids. Mayor Muriel Bowser has proposed emergency legislation to go after dealers in synthetic cannabinoids as the District suffers from a spike in "fake weed" overdoses. "This is not marijuana," Bowser said at a Tuesday news conference. "The effects are very different, and they can be deadly." The city already prohibits the sale of synthetic drugs, but this bill would expand that ban. 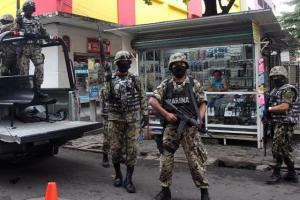 Mexican Marines Disarm Entire Acapulco Police Force Over Links to Drug Gangs. Authorities in the state of Guerrero disarmed and placed under investigation the entire police force of Acapulco, the state's largest city, claiming the local police were infiltrated by drug gangs. Two top Acapulco police commanders were also charged with homicide. Last year, Acapulco had a murder rate of 103 per 100,000 residents, one of the highest in the world. Venezuela Calls on Colombia to Take Action on Drug Trafficking. The Foreign Ministry called Tuesday for its eastern neighbor to "assume international responsibilities for the damage caused by the drug trafficking industry." Caracas wants Bogota to redouble its anti-trafficking efforts in light of the "alarming increase" in coca cultivation in Colombia reported by the UN Office on Drugs and Crime last week. "For the government of the Bolivarian Republic of Venezuela, it is even more worrisome that, according to said report, one of the most affected departments is precisely the north of Santander, bordering Venezuela, from where groups of drug trafficking and paramilitary violence are constantly attacking the population, the economy, and Venezuelan institutions. Venezuela urges the Colombian authorities to make sincere and effective efforts to assume international responsibilities for the damage caused by the drug trafficking industry to neighboring countries and the world," the ministry said. For 20 years, Wisconsin prosecutors have used a state law, the Unborn Child Protection Act of 1998 (Act 292), to jail adult pregnant women suspected of using drugs or alcohol. Supporters claim the "cocaine mom" law protects fetuses from maternal drug abuse, but critics say the law's language is vague, that it deters pregnant women from seeking prenatal and other health care, and that it unnecessarily and unconstitutionally forces some pregnant women into treatment and state supervision. The law was found unconstitutional by a federal court last year, but state Attorney General Brad Schimel appealed, and the US Supreme Court allowed the law to stay in effect until the case was decided. But in June, the 7th US Circuit Court of Appeals dismissed the lawsuit on the grounds that the plaintiff, Tammy Loertscher, had left the state. Loertscher was 14 weeks pregnant and residing in Medford in 2014 when she tested positive for methamphetamine. Although she told her doctor she had stopped using the drug when she realized she was pregnant, a judge ordered her into inpatient drug treatment. She was then jailed until she agreed to be drug tested throughout her pregnancy. She gave birth to a healthy male child in 2015. Loertscher was by no means alone -- hundreds of pregnant women have been accused of "unborn child abuse" under the law -- and the dismissal of the case means pregnant women in the state remain in jeopardy. At the time of the dismissal, attorney Nancy Rosenbloom, director of legal advocacy for National Advocates for Pregnant Women (NAPW), decried the ruling. "Today's decision means that all women in Wisconsin have to worry that when they seek health care, if there's even a chance they might be pregnant, the state can take them into custody, lock them up in a drug treatment program, a mental hospital or a jail -- whether or not drug treatment is really needed," she said. Now, Rosenbloom and NAPW are taking the fight to a new arena: the court of public opinion. They have joined forces with a three-year-old national group, Reproaction, to take on the law. The group is forthright about what it wants: "Reproaction is a new direct action group forming to increase access to abortion and advance reproductive justice. We are proud of our left-flank analysis, and are not in this fight to protect the past or maintain the status quo," the group says on its web site. Reproaction has created the #WIFights 292 campaign to take the fight to the public. The campaign is planning educational fora across the state, a social media campaign, and information pickets, among other tactics. "All people who experience pregnancy, including pregnant women in Wisconsin, deserve access to appropriate, confidential health care without fear of losing their rights to medical decision making, privacy, and liberty," #WIFight292 explains on its web site. "At Reproaction, we center our work around the women in Wisconsin who may be targeted by enforcement of Act 292. We are organizing activists and community leaders across Wisconsin to demand action from those in power and channel community into a movement to advance reproductive justice that will ultimately dismantle Act 292. We know that direct action gets the job done, and we will take bold action to educate the public about and put a stop to enforcement of Act 292." For Rosenbloom and the medical and public health groups that oppose the law, the hope is that the campaign can do what the courts have failed to do: kill a bad law. "This law only harms women and children," she said. This article was produced by Drug Reporter , a project of the Independent Media Institute. 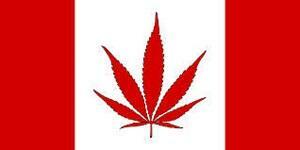 Canada has become the second country to legalize marijuana after final votes in parliament Tuesday, the Supreme Court agrees to hear an Indiana asset forfeiture case, Eleanor Holmes Norton files a bill to allow marijuana in public housing in states where it's legal, and more. Eleanor Holmes Norton Files Bill to Allow Marijuana Use in Public Housing Where It's Legal. Rep. Eleanor Holmes Norton (D-DC) has filed a bill that would allow residents of public housing in states and localities where marijuana is legal to use it at home without fear of being evicted. Under Norton's bill, a person may not be denied federally-assisted housing for the use of marijuana in jurisdictions where medical or recreational marijuana has been legalized. Under Norton's bill, smoking marijuana would be treated the same as smoking tobacco in federally-assisted housing. The bill is not yet available on the congressional website. Supreme Court Agrees to Hear Indiana Civil Asset Forfeiture Case. The US Supreme Court has agreed to hear the case of an Indiana man who used the proceeds of his father's life insurance policy to buy a $42,000 Land Rover only to have the vehicle seized after he was caught selling heroin with it. When authorities moved to forfeit the vehicle, Tyson Timbs challenged the action and won in the Grant Superior Court, with the judge finding the vehicle was purchased legally and that its forfeiture would be "grossly disproportionate" to Timb's offense. The Indiana Court of Appeals agreed, noting that the maximum fine for Timbs' offenses was only $10,000 and suggested the seizure amounted to an "excessive fine." The state Supreme Court then reversed, Timbs appealed, and here we are. 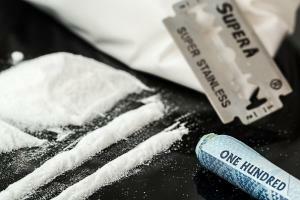 Federal Appeals Court Panel Rejects Wisconsin Woman's "Cocaine Mom" Lawsuit. A three-judge panel on the US 7th Circuit of Appeals on Monday dismissed a lawsuit challenging Wisconsin's "cocaine mom" law, which permits the detention of pregnant women who are suspected of abusing drugs. The panel dismissed the case because the woman, Tammy Loetscher, had moved out of the state. A US district court judge last year found the law unconstitutional and issued an injunction barring it from being enforced, but the law has remained in force while the state appealed. The appeals court panel's ruling leaves the law in force for now. "Today's decision means that all women in Wisconsin have to worry that when they seek health care, if there's even a chance they might be pregnant, the state can take them into custody, lock them up in a drug treatment program, a mental hospital or a jail -- whether or not drug treatment is really needed," said Nancy Rosenbloom, director of legal advocacy for the National Advocates for Pregnant Women, which represented Loertscher. Canada Legalizes Marijuana. With final votes in the House of Commons and Senate on Tuesday, the Canadian parliament has approved the marijuana legalization bill, C-45. The bill legalizes the possession of up to 30 grams in public and allows the cultivation of up to four plants per household. It will also allow for regulated and taxed marijuana businesses, with regulations of sales left to the provinces. Provincial and territorial governments need s few weeks to prepare for retail sales, so the actual rollout of legalization is expected to happen in mid-September. Australia Festival Pill Testing a Success, Should Be Emulated, Report Finds. A study released Wednesday by the Safety and Testing Advisory Service at Festivals and Events finds that pill testing at the Groovin the Moo festival in Canberra in April was "an overwhelming success" and the federal government should take a leadership role in introducing a plan for broader pill testing. "The pilot demonstrated that such an intervention is possible and that people are willing to use the service, despite the limitations arising from the tight timelines, inauspicious physical infrastructure and the lack of dissemination strategies on-site during the festival," the report said. Less than half the drugs tested at the festival were relatively pure. A Connecticut legalization bill advances, Michigan GOP lawmakers are worried a legalization initiative there will drive turnout and drive them from office, Tennessee lawmakers pass a bill to end civil asset forfeiture, and more. Connecticut Legalization Bill Advances in Historic Committee Vote. For the first time, a marijuana legalization bill has won a committee vote in Hartford. The Assembly Appropriations Committee voted 27-24 Thursday to approve House Bill 5394, which calls for a developing a plan for legalization and regulation of sales, along with funding for drug prevention and treatment programs. The bill will now go before the full General Assembly. Michigan's Looming Initiative Prompts GOP Lawmakers to Ponder Passing Preemptive Legalization Bill. There is a specter haunting the state's Republican lawmakers: The fear that a legalization initiative likely to appear on the ballot will encourage voter turnout and depress their chances of retaining control of the legislature. So now, GOP lawmakers are muttering about the possibility of approving marijuana legalization before the November election to thwart that possibility. Stay tuned. Oregon County Sues State to Invalidate Legalization Law. Josephine County filed a lawsuit in US district court in Medford Tuesday challenging the state's marijuana legalization laws. The county seeks to invalidate the laws on the grounds they conflict with strict federal drug laws. Missouri Medical Marijuana Bill Killed in Committee. The Legislative Oversight Committee voted Wednesday to kill a medical marijuana bill, House Bill 1554. The bill would only have allowed some people suffering from terminal illnesses to use medical marijuana, but even that was too much for the committee. Show Me State residents will likely be able to vote directly on medical marijuana come November; a medical marijuana initiative campaign is now in the final stages of signature gathering and should qualify for the ballot. Tennessee Legislature Passes Bill to End Civil Asset Forfeiture. The House on Wednesday and the Senate on Thursday have approved an asset forfeiture reform bill, Senate Bill 316. The bill ends civil asset forfeiture, requires "clear and convincing evidence" the asset is linked to a crime, and provides that all forfeited goods go into the state general fund. The bill now goes to the governor's desk. Arizona Legislature Passes Bill to Cut Off Parental Rights for Drug-Exposed Babies After One Year. The legislature has approved Senate Bill 1473, which would allow babies born exposed to drugs and whose parents have substance abuse problems to be put up for adoption by the first birthday. The bill would also let courts consider foster parents who have cared for an infant or toddler for at least nine months as equal to the child's family members when deciding who gets custody. Current law only allows adoption to take place after they are two years old. The bill is now on the desk of Gov. Doug Ducey (R). France Apologizes to Italy Over Migrant Drug Test Incident. France apologized to Italy Wednesday after French border patrol agents used a train station in an Italian border town to conduct a drug test on a Nigerian immigrant. "I'm sorry for the misunderstanding," France's Budget Minister Gérald Darmanin, who is also responsible for customs, said in an interview with the Italian daily Corriere della Sera. "It was an unfortunate incident, which arose over a misunderstanding between French customs and Italian railways about the use of a facility located at Bardonecchia railway station." Massachusetts lawmakers finally figured out their budget, so now maybe they can figure out how to implement the will of the voters on legal pot; the Supreme Court lets Wisconsin continue to enforce its "cocaine mom" law as the state appeals a lower court ruling it's unconstitutional; Colombian coca cultivation was way up last year, and more. Massachusetts Lawmakers Resume Talks on Implementing Legalization. A House-Senate conference committee was set for a closed door meeting Monday afternoon to restart negotiations over legislation that would implement the state's voter-approved marijuana legalization law. House and Senate negotiators are split over a number of issues, foremost among them taxation rates and whether localities can ban pot businesses without a popular vote. North Dakota Seeks Letters of Intent from Prospective Growers and Dispensaries. The Health Department last Friday asked prospective medical marijuana growers and dispensary operators to send in letters of intent to apply under the state's new medical marijuana law. The department said it wants a better idea of how many applications it will receive in coming months. Interested parties have until July 28 to send in their letters. US Supreme Court Lets Wisconsin "Cocaine Mom" Law Stay in Effect Pending Appeal. The Supreme Court last Friday issued an order lifting an injunction against Wisconsin's "cocaine mom" law imposed in April. The law allows state officials to detain pregnant women suspected of using drugs or alcohol. A federal district court judge ruled the law unconstitutionally vague and issued the injunction, but now the Supreme Court will allow the state to continue to use the law while it appeals the lower court ruling. Report: Some Federal Prosecutors Ignored Obama Sentencing Recommendations. A report from the Justice Department's Office of the Inspector General released last Friday finds that at least 20 of the country's 94 federal prosecutorial districts did not follow Obama administration "Smart on Crime" sentencing recommendations aimed at reducing the number of mandatory minimum sentences for drug offenses. Still, the report noted, the initiative had an impact: Drug offenders sentenced without mandatory minimum sentences increased from 40% in 2014 to 54% in 2015. 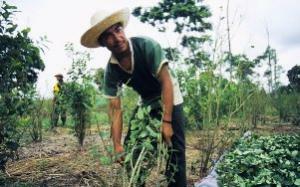 UN Says Colombia Coca Cultivation Increased Dramatically Last Year. The UN Office on Drugs and Crime reports that the amount of land under coca cultivation jumped from 250,000 acres in 2015 to 363,000 acres last year, an increase of nearly 50%. The UNODC notes that most of the increase came in areas that had been under the control of the now demobilized FARC guerrillas. The Colombian military failed to take effective control of those areas, leaving a power vacuum filled by dissident guerrilla groups, rightist paramilitaries, and drug trafficking organizations. A Rhode Island legislative commission studying marijuana legalization gets an expanded membership, including more seats favorable to legalization, cartel infighting leaves a bloody toll in Reynosa, British public health experts call for festival pill testing, and more. Rhode Island Legalization Commission Gets Expanded. The House Judiciary Committee has voted to expand the membership of a commission studying legalization by adding five more people. The five new members will add heft to the commission's pro-legalization contingent. They include the head of the local NAACP branch, a representative of Doctors for Cannabis Regulation, a criminal defense attorney, and the director of the local chapter of Direct Action for Rights and Equality. This brings the size of the commission to 22. The panel would report recommendations on legalizing marijuana to the General Assembly by March 2018. Wisconsin Seeks to Keep Locking Up Pregnant Women Suspected of Drug Use Despite Court Ruling. The state Department of Justice has asked the 10th US Circuit of Appeals to let it continue to apply a law allowing it to detain pregnant women it suspects of drug use even though a US district court judge struck it down in April. State officials first sought an emergency stay to block the ruling while they appeal, but when that was denied Monday, on Tuesday they asked to continue to apply the law to pending cases while it appeals the denial to the US Supreme Court. British Public Health Group Calls for Pill Testing at Festivals. Citing the danger of "serious health harm" from stronger ecstasy in the UK, the Royal Society for Public Health is calling for a program to allow festival goers to test their drugs on site. The society reported than a one-off pill testing pilot program last year resulted in 18% of people bringing their drugs in deciding to through them in the garbage after they turned out to be counterfeit or adulterated. 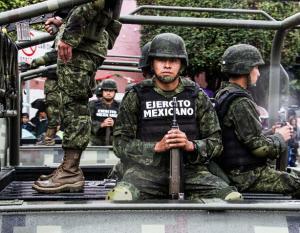 Mexico Drug War Violence Continues to Roil Reynosa. At least 50 people have been killed in the past month in the Mexican border town of Reynosa, just across the Rio Grande River from McAllen, Texas, according to unofficial counts in local media. Most of the dead are reportedly gunmen from rival factions of the Gulf Cartel, who are fighting for control of local drug trafficking routes, but at least one civilizan -- a taco cart vendor -- is among the dead. Congress won't fund federal medical marijuana enforcement in states where it's legal, the Massachusetts Medical Society calls for a pilot safe injection site, a Wisconsin federal judge throws out that state's "cocaine mom" law, and more. 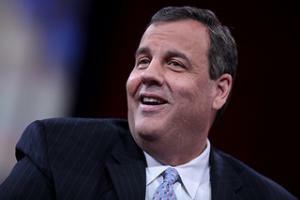 Chris Christie Accuses Democrats of Wanting to "Poison Our Kids" With Pot to Raise Tax Revenues. New Jersey Gov. Chris Christie (R) on Monday criticized efforts to legalize marijuana and claimed Democrats were willing to "poison our kids" to get marijuana tax revenues. A reference to a recent report saying the state could earn $300 million in pot taxes set him off. "This is the part that liberals love the most: We can tax it. Sweet Jesus, we can tax it! More money for us!" Christie exclaime. "I can say this now because I'm not running for anything again: $300 million is nothing. We have a $35.5 billion budget; $300 million is a rounding error. I'm sorry. It's true. Think about it, that's 1 percent, less than 1 percent, of the entire state budget for a year. And we're going to poison our kids for 1 percent more money that they can spend on some God awful, stupid program that they can put in the mailer and send out and say, 'I delivered $300 million more for this.'" There's more, too; just click on the link. Congress Rolls Out Interim Budget With No Funding for Medical Marijuana Enforcement. The budget bill crafted by Congress to keep the federal government working in the short term includes the Farr-Rohrabacher amendment language barring the spending of federal dollars to enforce federal pot prohibition in states that have legalized medical marijuana. The language is only good through September, though. Federal CBD Bill Filed. US Rep. Scott Perry (R-PA) on Monday filed House Resolution 2273, which would amend the Controlled Substances Act to exclude cannabidiol (CBD) and CBD-rich plants from the definition of marijuana. It's been referred to the House Judiciary, Financial Services, and Energy and Commerce committees. Florida House Passes Medical Marijuana Implementing Bill. The House on Tuesday approved a medical marijuana regulation measure, House Bill 1397, after altering several provisions opposed by patients and the industry. The measure removes the ban on using low-THC marijuana products in public, increases the number of dispensaries to 17 statewide, and allows patients to only have to see a doctor once every seven months to get renewed. The bill now goes to the Senate. Baltimore Cops Begin Investigating Overdoses in Bid to Nail Dealers. A task force of five Baltimore police detectives have begun investigating drug overdoses in an effort to build criminal cases against drug dealers. But with 800 fatal overdoses in the city las year, five detectives may not be able to keep up. The state lacks a law allowing prosecutors to charge dealers in the death of an overdose victim, but prosecutors say there exists "a wide range" of ways they can bring related charges. Massachusetts Docs Call for Supervised Drug Consumption Sites. The Massachusetts Medical Society has endorsed lobbying state and federal policymakers to allow the state to begin a safe injection site pilot program. At the group's annual meeting last Saturday, the membership adopted a policy calling for "a pilot supervised injection facility program in the state, to be under the direction and oversight of the state" as well as wider use of naloxone and more treatment for substance use disorder. The policy calls for the organization to lobby for a federal exemption and state legislation to allow such a facility. Federal Judge Blocks Wisconsin "Cocaine Mom" Law. A US district court judge in Madison ruled last Friday that the state's "cocaine mom" law, which allows the state to detain a pregnant woman suspected of drug or alcohol abuse, is so vague as to be unconstitutional. The law is "void for vagueness," Judge James Peterson held. "Erratic enforcement, driven by the stigma attached to drug and alcohol use by expectant mothers, is all but ensured." The law allowed the state to treat fetuses like children in need of protection if the "expectant mother habitually lacks self-control in the use of alcohol beverages, controlled substances or controlled substance analogs, exhibited to a severe degree, to the extent that there is a substantial risk that the physical health of the unborn child, and of the child when born, will be seriously affected or endangered." But Peterson ruled that such terminology is not "amenable to reasonably precise interpretation." Uruguay Begins Registering Users to Buy Pot in Pharmacies. The first country to legalize marijuana took another step toward implementing that decision on Tuesday as it opened a registry for people who wish to buy marijuana from pharmacies beginning in July. All potential pharmacy pot customers must register before availing themselves of the service. Pot will go for about $1.30 a gram, with each user limited to 10 grams per week.